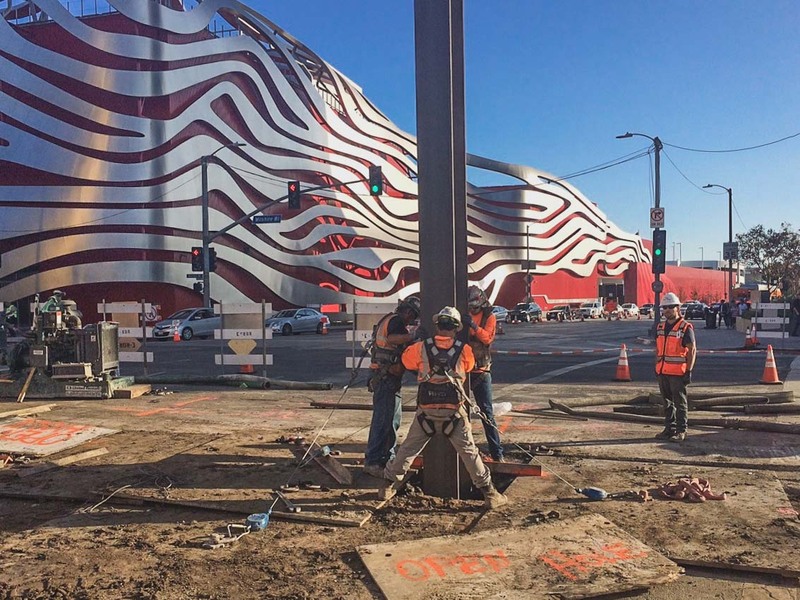 Above is the latest update on construction of the Purple Line Extension’s first section between Wilshire/Western and the future Wilshire/La Cienega Station in Beverly Hills. There will also be new stations at Wilshire/La Brea and Wilshire/Fairfax, meaning the subway will one day run right up the gut of the Miracle Mile! 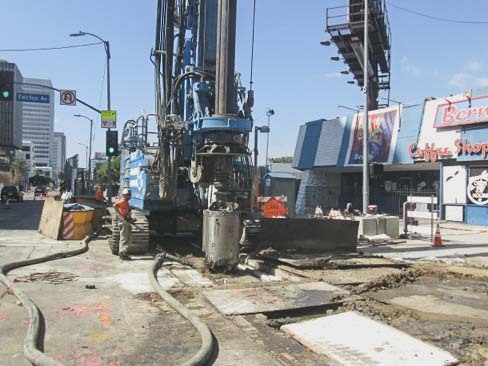 Metro is currently working on finalizing the federal portion of the funding for the second section of the project between Wilshire/La Cienega, downtown Beverly Hills (Wilshire/Rodeo) and Century City. Under Measure R — the half-cent sales tax that is providing the local funding for the project — the subway would reach Westwood in 2035. Metro’s Measure M sales tax ballot measure would provide enough funding to accelerate that section to 2024-26 — if approved by voters. To learn more about Measure M, click here. Measure M would increase the countywide sales tax by a half-cent and continue the Measure R sales tax beyond its mid-2039 expiration date. Click here to learn more about Measure M.
And here’s the Purple Line Extension’s home page on metro.net — with all sorts of great resources for those interested in the project. https://www.metro.net/projects/westside/notices/ for Sep 30 mentioned ’14 N La Cienega’. That makes no sense. The City of LA (unlike Pasadena) doesnt assign bldg numbers below 100, except on Olvera St. Also La Cienega near Wilshire has numbers in the 600-700 range, because Wilshire runs parallel to and between 6th St & 7th St.; it’s something like 6 & 1/2 St. The City of Beverly Hills does use building numbers below 100 on its north-south streets (the east-west streets just go along with the numbers in Los Angeles and West Hollywood), with Wilshire Blvd as the dividing line, so 14 N La Cienega Blvd is just north of Wilshire Blvd.